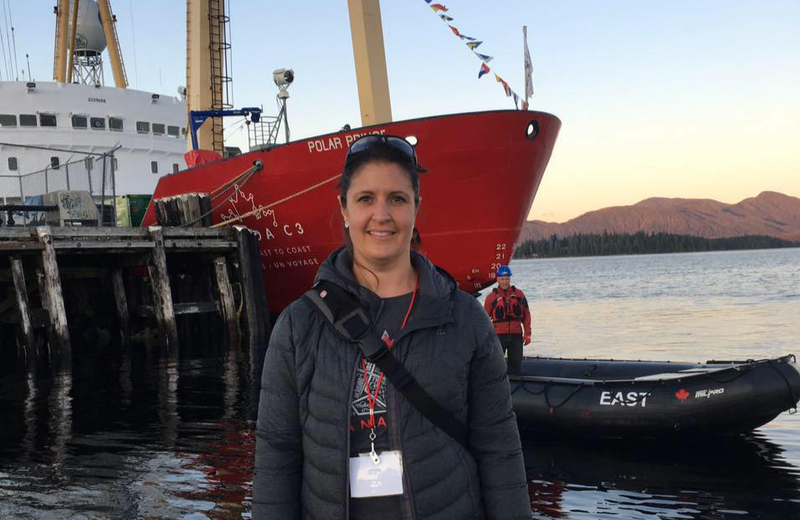 In 2017, high school science teacher Josée Pennober participated in Canada C3. 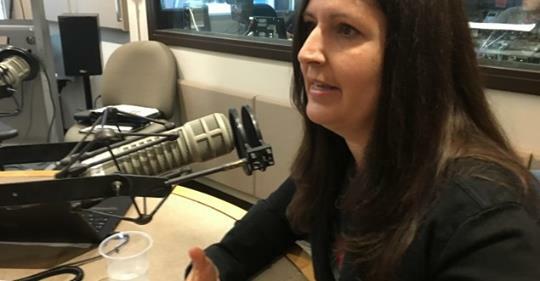 She returned fired up from her experience and ready to encourage her students to take further action. 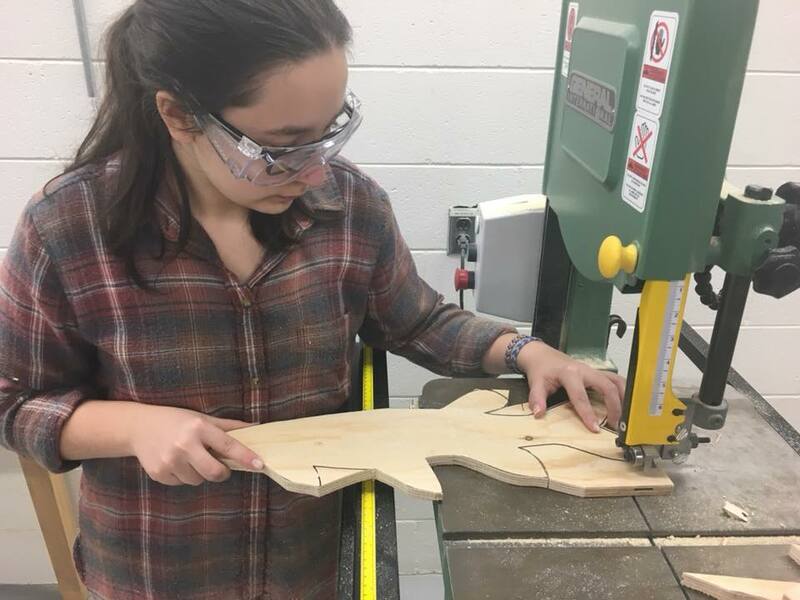 Read more about the school Ambassadors Committee and how they have been making a difference in their community below. 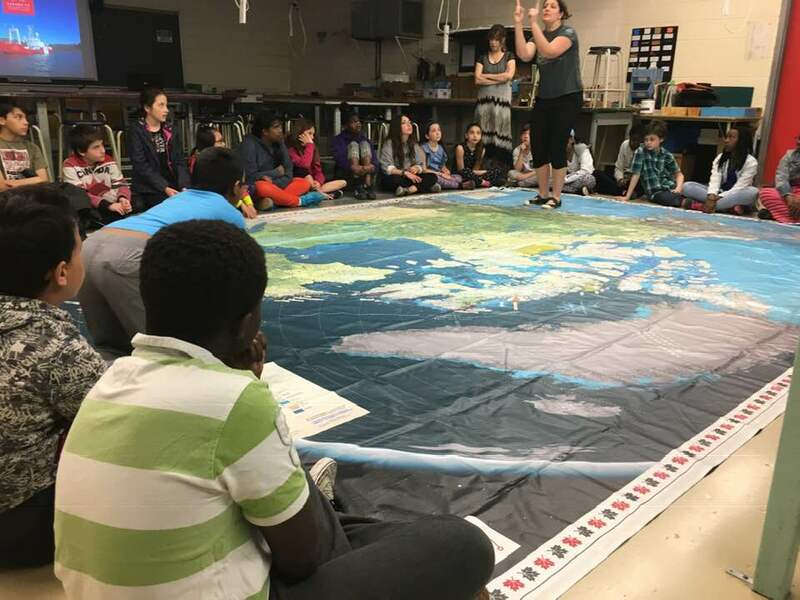 In 2016, following an inspiring talk by Students on Ice founder and Canada C3 Expedition Leader Geoff Green at l’École sécondaire de l’Île in Gatineau Quebec, my students and I were so spurred on that we decided to create a school committee called Polar Ambassadors. After participating in Canada C3, I realized that the issues impacting our community required a broader focus. This led, in September 2018, to dividing the Ambassadors’ Committee into two – the Green Wave and the Polar Wave. 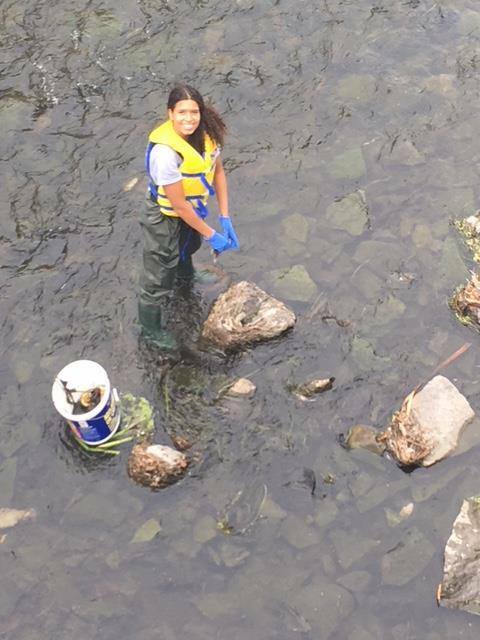 TASK 1: Adopt a fish: A fundraising initiative to raise awareness about the health of our waterways. My first inspiration came from a mural on a school fence when C3 visited the town of Bella Bella, British Columbia. 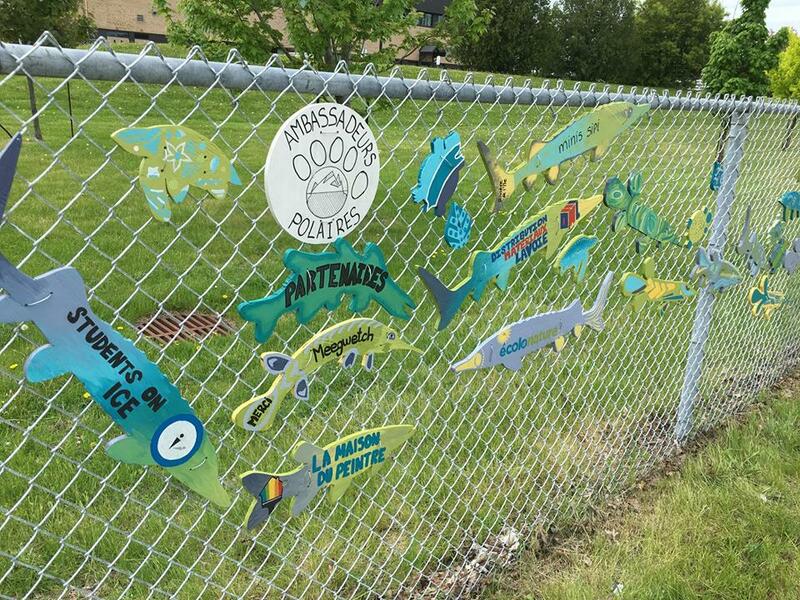 The Fishes on Fences program raises awareness to promote ocean conservation. Learning that nothing like this exists in Quebec, I decided to get the ball rolling! 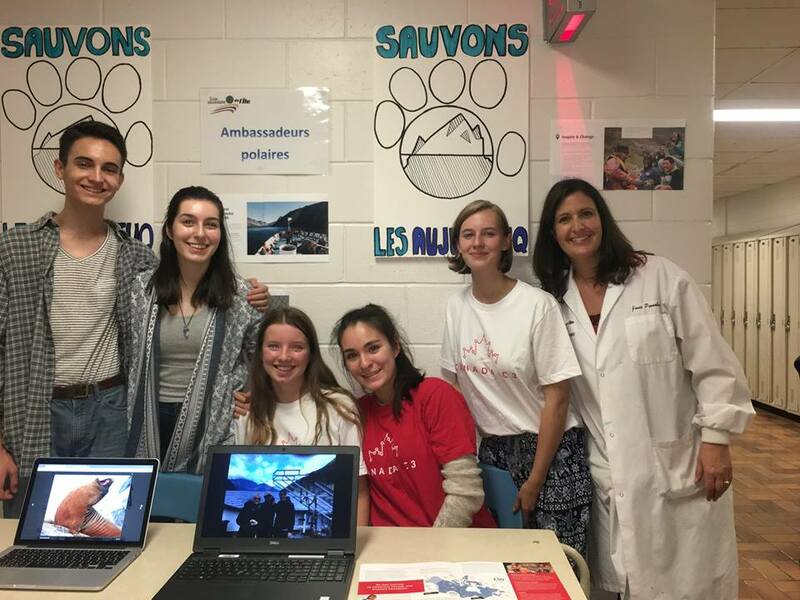 Together with the Ambassadors, we made over 150 fish and turtles to spread the word to passers-by about the health of the creek called Ruisseau de la brasserie beside our school. Over 100 students from our school and a local primary school in took part. We raised over $400 through fish adoptions. 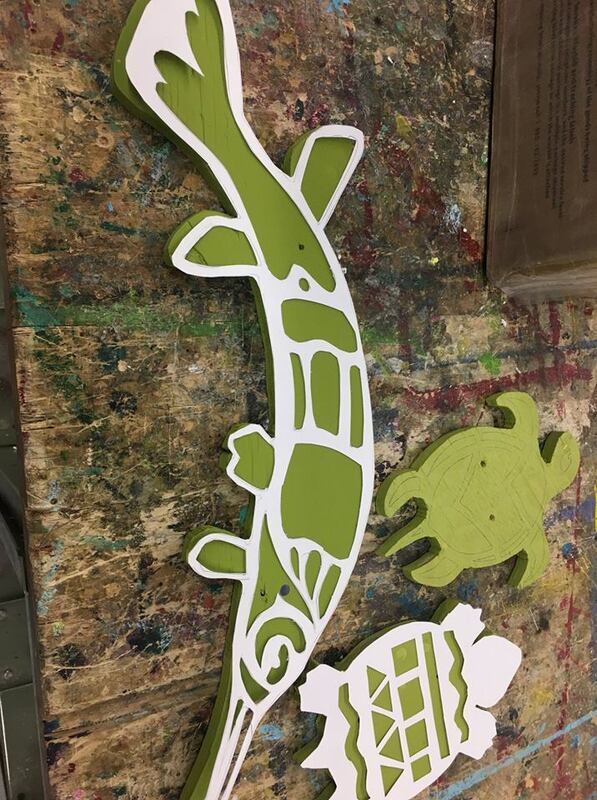 Creating 150 fish and turtles is no mean feat! We used the Adopt a Fish task to talk about my C3 experience and the importance of taking care of our watersheds. With financial support from the company Brookfield, we were able to adopt the Ruisseau de la brasserie! I even got to speak about our Ambassadors’ Committee on the Radio-Canada program Les matins d’ici. After seven months of hard work, the fish are up! This picture was taken on the International Day for Biological Diversity, May 22, 2017. 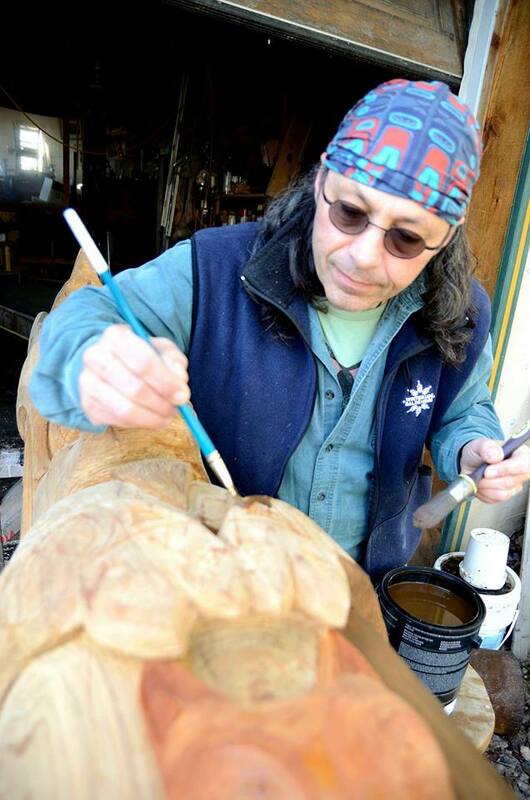 I invited a local Indigenous totem pole artist, Denis Charette, to our school. He made all the totem poles in Omega Park, Quebec. He spoke with the students about his inspiration and the origins of totem poles. He then helped them create their own during a workshop. 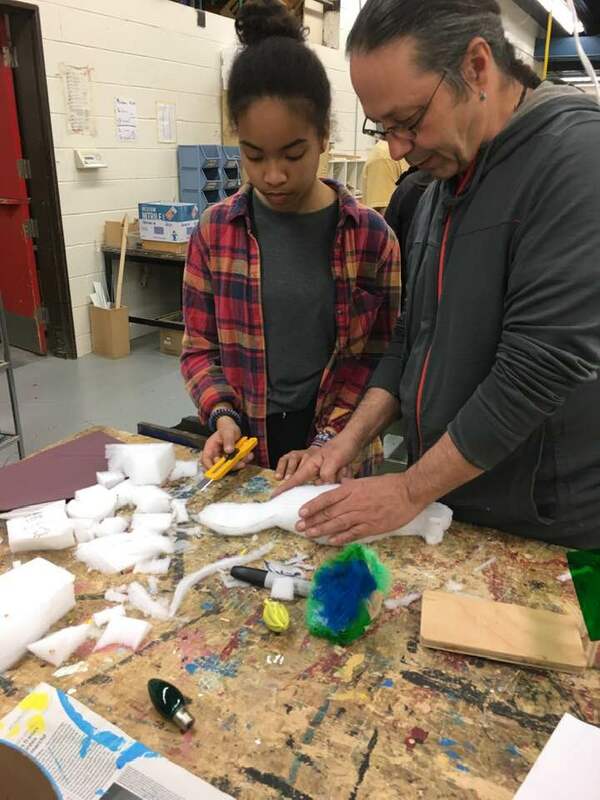 Denis teaching a student his techniques for sculpting with recycled materials. 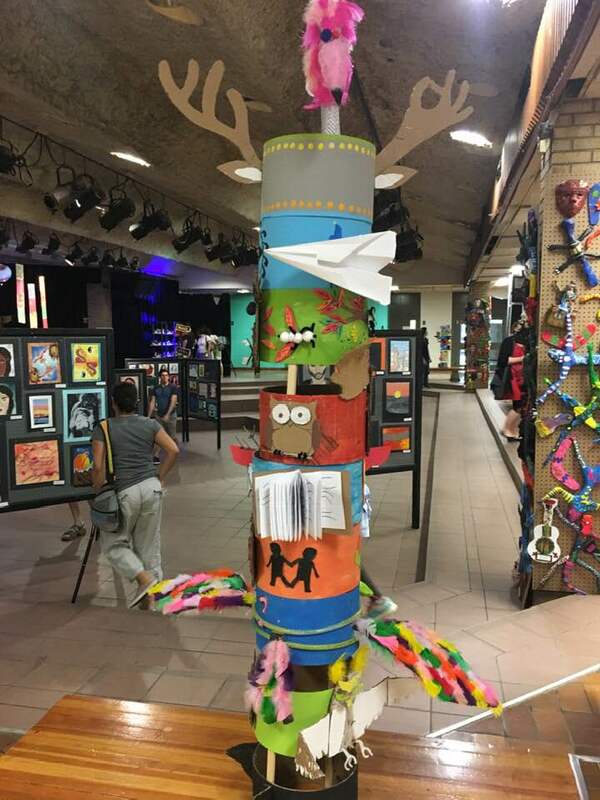 Totem pole made from recycled materials, showcasing the skills learned by International Baccalauréat program students. Meegwetch Denis Charette! 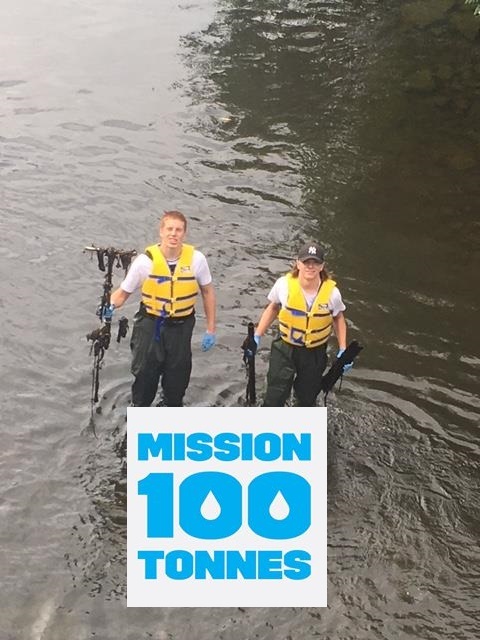 TASK 3: Mission 100 Tonnes clean-up! 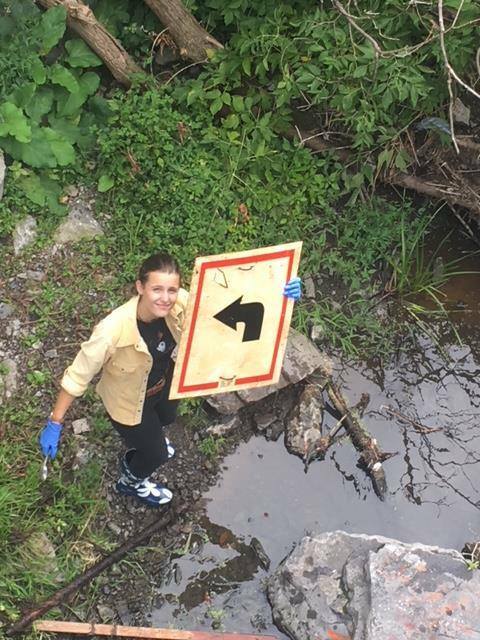 This amazing river clean-up initiative started by Canada C3 participants Lyne Morissette and Jimmy Vigneux has spurred the students into action. 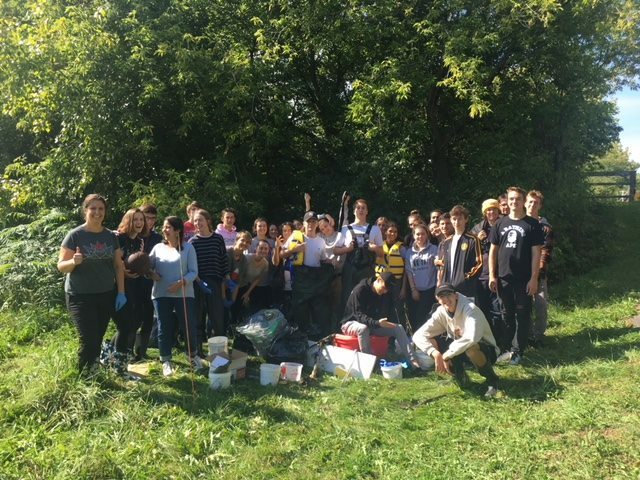 Here we are cleaning up the Ruisseau de la brasserie. We found a road sign! 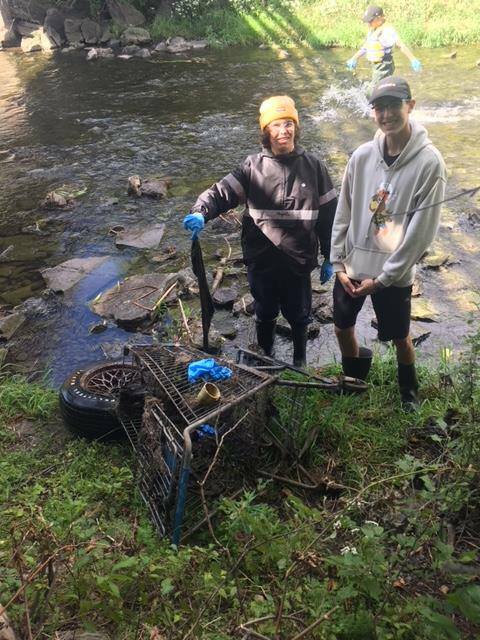 130 kilos of waste removed from the creek in 45 minutes. 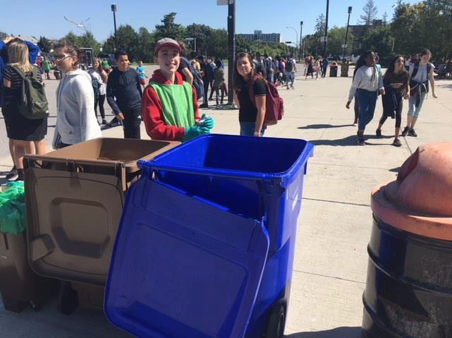 Starting a composting program in a high school with over 1,200 students is a big task! But the members of the green wave were up to the challenge. 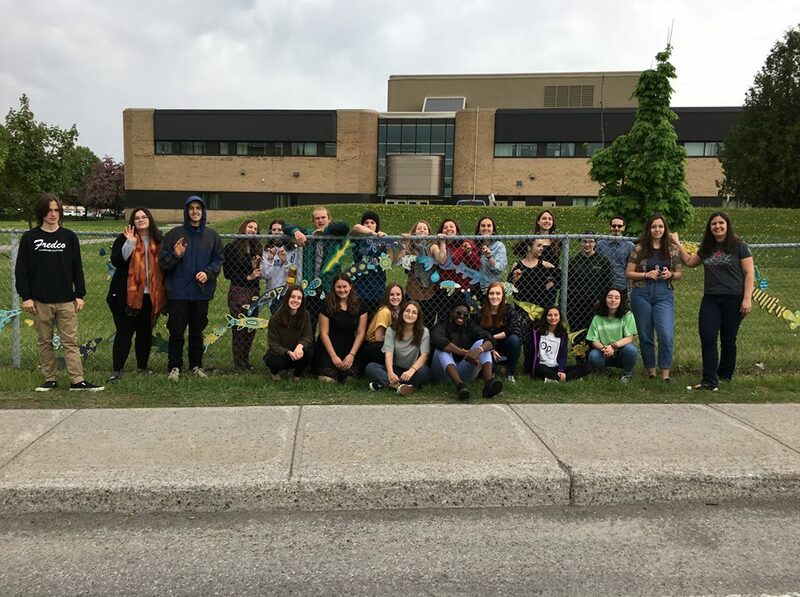 We predict that by the end of the 2018–2019 school year, we will be proud to say that the school’s population is ECO-FRIENDLY! 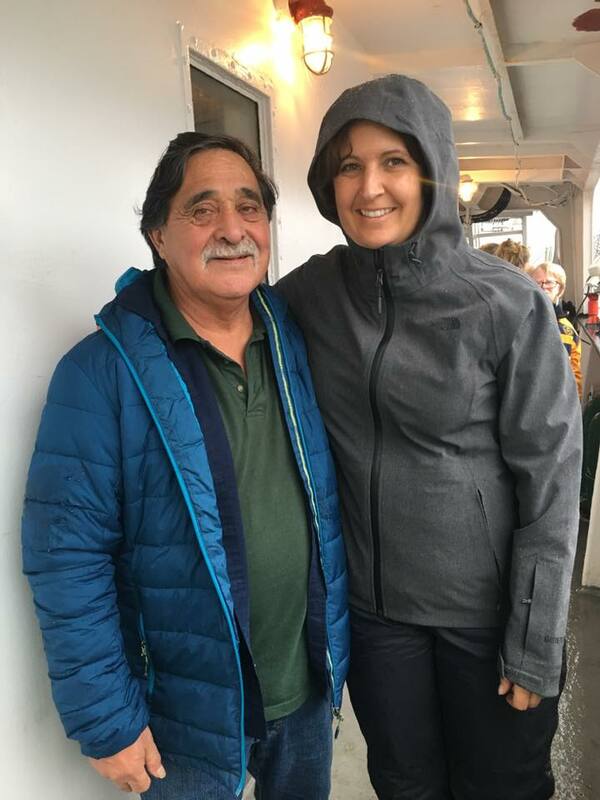 There is so much to do still but our Green Wave and Polar Wave Ambassadors continue to remain inspired, knowing that they have already and can continue to make a real difference!